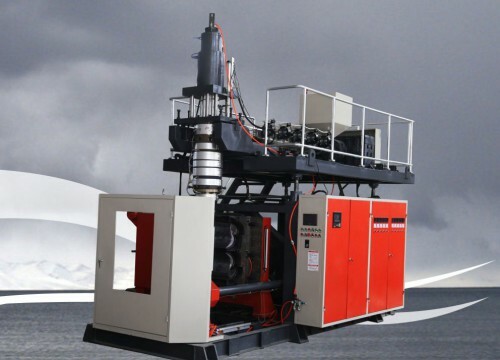 plastic bottles jerry cans blow molding machine | Silver Python Machinery Co., Ltd.
linear guide support single frame, finite element analysis of the design, to ensure adequate clamping force, not up mode. large opening stroke, central locking, locking force equilibrium, not deformation. high accuracy without the fusion line storage type die head, easy to change color, with servo wall thickness control system, improve product quality, reduce production costs. optional with multi function under blowing mechanism, automatic machine to take the product of a variety of auxiliary device, realize the production process is highly automated. the whole system is equipped with safety protection grating, to ensure the safety of the production process without accident. Its wide applicance in HDPE 4 gallon bottle making machine Automatic blow molding machine,Plastic bottles/jerry cans blow molding machine (16L~25L),50L-160L drums/barrels/jerry cans making machine blow molding machine,30L plastic drum blow moulding machine,50L drums/barrels/jerry cans making machine blow molding machine,HDPE Jerry Cans Blow Machine 20L/25L/30L, car seat blow molding machine.